It has always been a struggle for anyone to access the internet in a remote area, especially in the hilly regions. Inhabitants of these places are suffering loads of discomfort and pain, as the communication system has always remained poor for them till now. Whether to fight against natural disasters, unemployment or poverty, internet accessibility is necessary for these places from every angle. So now, there is good news for the people of every remote corner, as Google has taken a huge leap to mitigate this difference. They are all set to bring the facility of the internet to every household, be it located in the remotest corner of the planet. 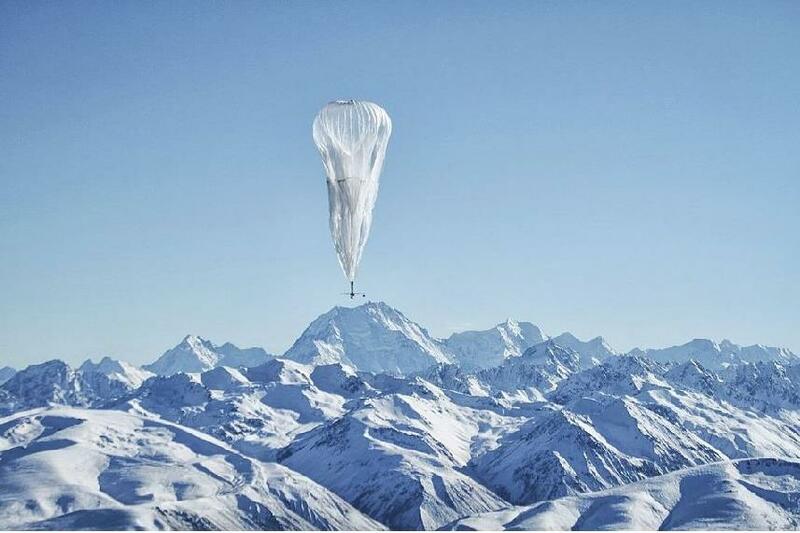 It is named as "Project Loon" which is a research and development project initiated by X (formerly known as Google X), designed with the motif of reaching out Internet access to remote and rural areas, including hilly regions. The major heads involved in this project are Rich DeVaul, chief technical architect, and expert in wearable technology; Mike Cassidy, the project leader; and Cyrus Behroozi who would be leading the networking and telecommunication side. The project is all about floating high-altitude balloons which would be placed at the level of the stratosphere at an altitude of 18 km from the surface of earth creating an aerial wireless network, working at 4G-LTE speeds. The balloons would be controlled by adjusting their altitudinal positioning in the stratosphere level to keep them floating on a specific wind layer. It would be done through the process of identification of the wind layer at its desired direction and speed. For this, they would use the wind data received from the National Oceanic and Atmospheric Administration (NOAA). The Users of this service would be connected to a balloon network which would be consisting of a special Internet antenna which would get attached to the buildings. The signal would be travelling through the balloon network from one balloon to another, and then turn down to the ground-based station which would be connected to an Internet service provider (ISP), and henceforth reach the global Internet. The aim of this Project is to provide Internet access to every remote and rural area which has been till now deprived of internet facilities. It goes without saying, that such a project would be basically implemented to improve the communication system so that it would improve the total standard of living as well as providing more security measures during natural disasters or even in regular life events. The Project team of Loon has declared that they have now found out a methodology to send multiple small clusters of balloons to those areas where there is no existing network. These balloons would be staying there for months together. To implement the above-said plans, the engineers need to work towards improving their network with altitude, have more control on their navigation systems, and have a rock-solid AI-based software in place, to adjust the way these balloons would fly. For this, they need to replace the existing preset navigation paths with better ones. In the Project Loon, balloons would be able to travel approximately 20 km from the Earth's surface reaching to the stratosphere level. As winds in this stratosphere are stratified, each layer of the wind would differ in their direction and speed. 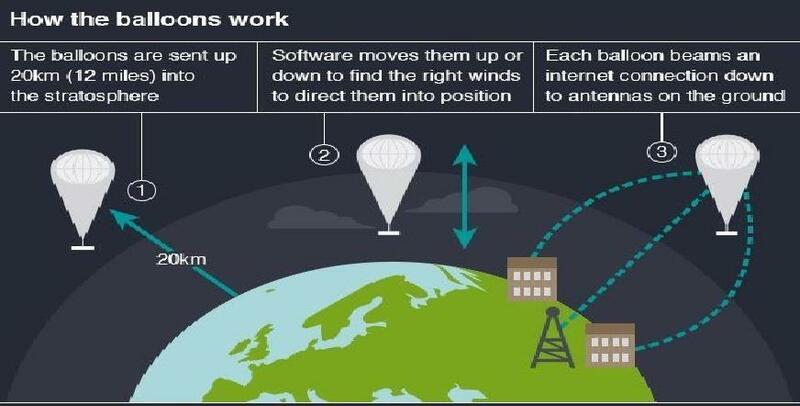 Project Loon will be using algorithms to perfectly locate where exactly the balloons need to go. In the next step, they would move each of them into that layer of wind where it is blowing in the required direction. Moving along with the wind, the balloons would get arranged to form a single massive network of communication. The expanding part of the balloon is named as the balloon envelope that allows it to survive for nearly hundred days or more in the layers of the stratosphere. These envelopes would be made of polyethene plastic sheets measuring around fifteen meters in width and by twelve meters tall in its full expanse. Each of these balloon's mechanism would be powered by an array of solar panels laminated with a kind of flexible plastic material placed within a frame of light-weight aluminium. These panels made up of highly efficient monocrystalline solar cells would be mounted at a steep angle so that they can maximize the effect of capturing sunlight in the days of winter even at higher altitudes. These types of solar arrays would be generally divided into two different sections and would be placed in opposite directions facing each other. This would make it easier to capture the solar energy in every orientation while the balloons would start spinning slowly with the help of the wind. The panels would hold the capacity of producing a power of 100 Watts approximately while being exposed to the full sun. They need to acquire enough amount of power to keep the electronics of Loon running even while the charging of its battery is on in the night time. This way, with the moving wind and solar charging, Project Loon would be completely self-maintained and entirely independent because of the renewable energy sources. The balloon's electronics would be hanging within a small box under the envelope, which would look quite similar to the basket we see as carried by the hot air balloons. The box will be consisting of circuit boards to control the entire system, a couple of radio antennas to easily communicate with the surrounding balloons and Internet antennas placed on the ground. To power the device, the lithium-ion batteries would be there to store the solar power so that the balloons should be able to keep working through the night till the sun rises. The patch antennas used in these balloons would be directional antennas which are able to transmit signals to the ground stations or to the LTE users. Smartphones running on Google SIM cards can avail the Google Internet services. The entire infrastructure of this Project Loon will be based on LTE; which is an eNodeB component, equivalent to the "base station" that can talk directly with the handsets which these balloons will carry with them. 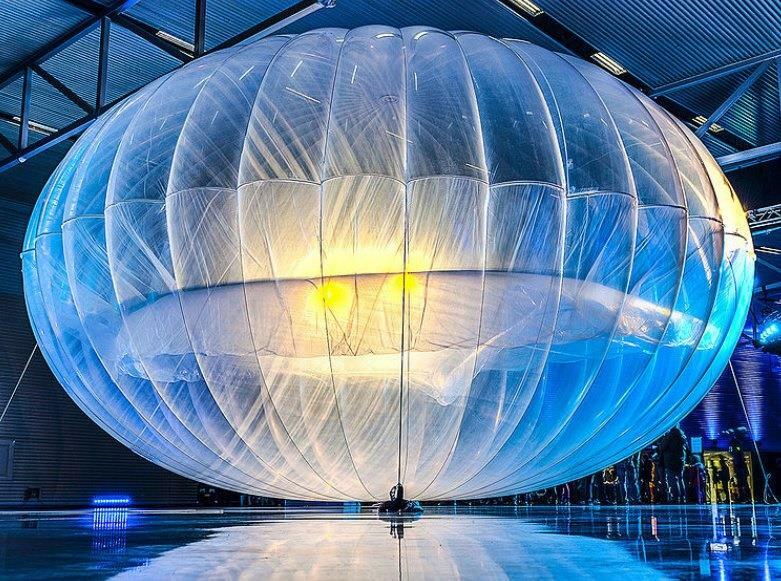 The Project Loon is one of the most hopeful initiatives taken by Google that can stand as a revolutionary movement in the world of Internet and connectivity. It would benefit the deprived and solve a lot of problems that people of the hilly regions are still suffering. Residents and inhabitants from these remote areas would get the benefits of Connectivity and internet resulting in a better safety and an uplifted economic condition.